I received this tuo as a gift from my new local tea friend. This is a 2007 Xiaguan Cang Er tuo 250g. The term 'Cang Er' refers to a mountainous pu erh tea growing region called Cang Shan. Xiaguan tea factory does sourced some of their pu from this region and you do see the 'Cang Er' pu erh tea printed on some of the Xiaguan products. This 2007 Cang Er tea comes in a 250g tuo. This is a raw pu erh tea. Compression of the tea is high and tea tools are required to pry open this tuo. This tea brews strong. It tasted slightly bitter.....I could detect a hint of medicinal herb taste, with a very mild sweet finish. I also experienced a weak minty sensation in the mouth after 2 cups of this tea. Though this tea is slightly astringent, I am quite impressed with the strong overall flavors, aroma and aftertaste of the tea (I felt slightly sweaty too). I like drinking this tea hot as the medicinal scent was not that pronounced when the tea had cooled down. Yunnan Sourcing does offer a range of Xiaguan Cang Er pu and I recommend you to check them out. From AFP, April 29 2012 , this very informative and well written article is about tea in India. Stephen H B Twining, the 10th-generation descendant of the Twinings tea-making family, is an unimpeachable brand ambassador. It was early afternoon and he was already on his 12th cup. "My usual daily intake is about 15 cups, so I’m a little ahead of myself, but tea drinking is a huge passion with me” he said. Twining, director of the British company which opened the first tea shop in London over 300 years ago, was in India to promote his range in a country where Twinings buys a lot of tea — but sells very little. Twinings is seeking growth from India’s 1.2 billion people, whose tastes are becoming more upmarket and sophisticated. “There’s huge potential for growth in places like India and China — throughout Asia,” Twining said. Twinings is aiming at the upper end of the market by packaging each teabag in an air-tight individual envelope to keep the tea fresh for months. At Rs. 600 for a box of 100 bags, the price of one teabag is roughly equal to that of a freshly-made streetside cup. 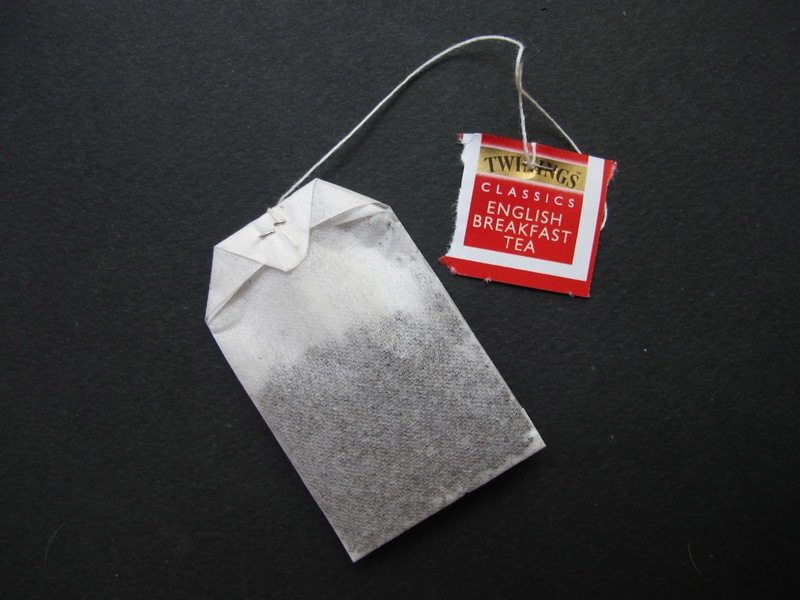 Twinings has 35% of India’s teabag business since it entered the country in 1997 — less than 1% of the company's global turnover. Twining said the firm does “tweak its blends to suit local tastes”, but creating the perfect cup of tea is a tricky and capricious enterprise for varying national palates. “Wine drinkers accept different years are of different quality but tea drinkers are a finickety lot — they want the flavour of their favourite cup of tea always to be the same,” he said. Twining dismissed the notion that teabags are inferior to loose tea. To get the perfect cup, the teabag must brew for three minutes -- longer than most tea drinkers realise “so they aren't getting the best taste,” he says. Use a thin porcelain cup. And it is traditional to put the milk in first — though in the end there are no strict rules. “Don't add sugar in your tea — but if you like it sweet, forget that rule,” he said with a grin." I recently opened a 2008 Fuhai 'Ji Pin' ripe cake. I was very impressed with an earlier 2007 Fuhai Yiwu ripe cake (see 2 May 2010 blog) and was curious about Fuhai's other ripe cakes that I had included this cake in my order with Yunnan Sourcing that same year. 'Ji Pin' directly translated as best quality, also piqued my interest in this cake. This 250g cake, unlike the 2007 Fuhai cake, is made up of small leaves. This cake brews very quickly and makes a strong infusion as well. I would recommend that you use slightly less leaves and shorten the infusion times for this tea brew. I found the initial infusions brew very dark, almost blackish in color. It is however not bitter, but instead it is very pleasant. This cake, to me, has a mild creamy finish which reminded me of the famous Dayi golden needle white lotus ripe cake ( which incidentally brews strong and fast as well). I am sure ripe pu erh drinkers can easily appreciate the robust flavors, strong aroma and the sweet creamy finish of this Fuhai cake. One reader asked me that since I consume about 1 pu erh cake/brick a month, wouldn't I be bored from drinking the same tea daily for a month. Well, I do not drink the same tea daily. Right now, for ripe puerh, I have 3 tea containers put aside for this tea. Currently, the ripe pu in each caddy are '07 Fuhai, '07 Dayi 7452 and 2000 ripe brick (will make a blog entry in a couple of weeks). I have also 2 tea caddies for raw pu erh and 1 tea caddy each for a white tea, oolong and black tea. I drink tea twice a day and do try to sneak in an extra session in the afternoons whenever possible. Maybe I should start a free tea exchange service? Let me hear your thoughts! By the way, any readers who wish to contribute an article on tea.......you are welcome. The article will be published unedited with full credits to you. "Sea Dyke" brand of chinese teas are very well known worldwide for their oolong tea. The above pix shows two of the tinned oolongs produced by Sea Dyke Co. These are the Shui Shien and Ti Lo Han. The tea is delicately packed in a paper wrapper, each wrapper consisting of 5g of tea and 12 of these packs are then placed in a nifty metal container. These 2 tins of tea had been in the market for many years and there is a loyal following of tea drinkers that buy these tea. The tea is very inexpensive going for about US$5 per tin. An old tea drinking friend told me that these tea are considered mid grade tea and its inexpensive prices had made it very popular among the Chinese community in South East Asia countries for the past 30 years. He drinks this tea by putting a pack of this tea in a thick glass beer mug (about 350 ml) and pouring hot water into the mug, drinking the tea after a few minutes. The Shui Shien is quite similar to its famous Sea Dyke Lao Chung Shui Hsien (16 Oct 2101 blog). However I found that this Shui Shien is less robust in flavor and I could only make 5 good infusions of tea (the famous yellow tinned version could yield me more than 6 brews). The Ti Lo Han is also an oolong but it does not have that floral scent associated with the Shui Hsien. Instead its a simple straight forward oolong that is characterised by a woody, roasted aroma. My tea friends aptly described this tea as a Dim Sum tea but of a very good quality. I would recommend you to get a tin of this very inexpensive Ti Lo Han and try it yourself. Both of these tinned teas are good and are especially useful........... when you need a cup of good Chinese tea and its inconvenient to brew tea the conventional way (teapot, tray, cups etc). Its handy to have a tin of these tea especially when you are travelling out of town for a couple of days.